Back in 2009 when he took the job as Zimbabwe’s Minister of Finance, Tendai Biti had one of the most challenging jobs in African politics. The country had just experienced a traumatic and almost certainly fixed election, which eventually saw the formation of a coalition government between ZANU-PF and Biti’s party, the Movement for Democratic Change. This was brokered by South African President Thabo Mbeki and termed the Global Political Agreement. 2008 was the nadir of Zimbabwe’s fortunes with hyperinflation running at an eye-watering 6.5 sextillion percent in mid-November 2008. The Zimbabwean dollar became virtually worthless. One of the first things Biti did when he assumed occupation of the Ministry of Finance was to (US) dollarise the economy. Biti, a lawyer by profession, is clearly a tough and highly intelligent character. The former quality he shares with his party leader, Zimbabwe’s Prime Minister Morgan Tsvangirai – somewhat diminished of late following the MDC’s poor pre-election polling stats and his own personal “˜issues’. Concerning the latter quality, few would argue that he exceeds Tsvangirai, and must be seen as a credible alternative should the MDC lose the upcoming election. In person Biti is bullish about the Zimbabwean economy. He has just been in Washington at meetings with the IMF and World Bank. Apparently Africa is “˜on the rise’ and “Zimbabwe can and will be part of this story”. What the country needs for this to become a reality is, first, “a legitimate credible election” which ensures both security of the voter and the vote. Clearing some of the estimated 4 million deceased “˜ghost’ voters off the electoral roll would also help. Following the election there will be need for a massive agenda of reconstruction. An estimated $14.5 billion is required for infrastructure alone. $5 billion is also needed to inject life back in to the country’s manufacturing sector and $7 billion for the mining industry. Mining is a sector of the economy with much potential – Zimbabwe has the largest deposits of iron ore in the region and platinum is also abundant. According to Biti, keen to attract investment, platinum can be found nearer the surface than that which is available in South Africa and made the rock drillers (who went on strike prior to the Marikana massacre) so important to the process. 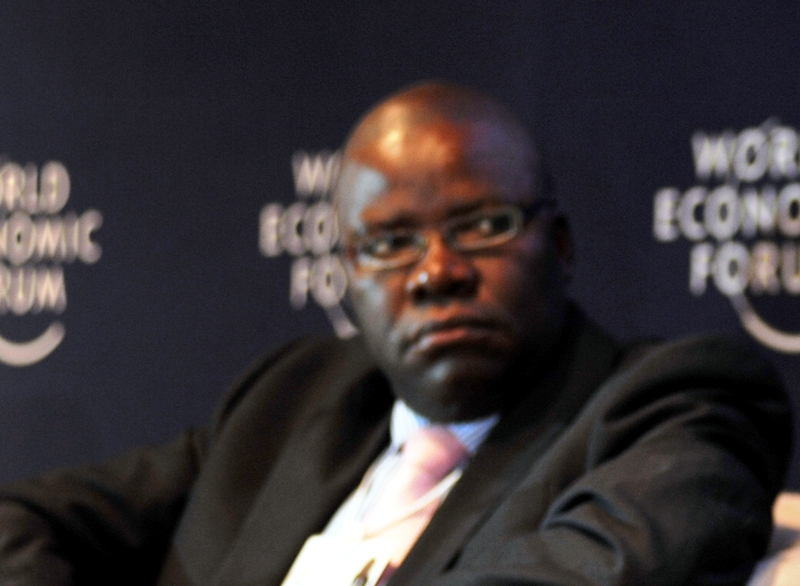 Biti stated that by 2018 mining should comprise 35% of the country’s GDP. Biti’s biggest achievement to date seems to be the stabilisation of the economy, rather than its growth. His team at the Ministry have clearly got a handle on where the economy and public debt stands right now ($10.7 billion). They are putting in place a “home grown debt resolution programme”, but the risk profile for Zimbabwean debt remains prohibitively high. This is a serious problem as it prevents Zimbabwe from being able to start a programme with, for example, the African Development Bank. It will be interesting to see whether the next stage of Zimbabwe’s tentative “˜recovery’ can be realised. This will, however, inevitably depend a great deal on what happens after the next election and whether a political settlement can be reached where more technocratic tough guys like Biti can be brought into government. Tendai Biti was speaking at a Chatham House event on 24th April.